Please view on a device with a larger screen for best results! Tendon(s) becomes compressed between the top of the shoulder blade and upper arm bone / humerus commonly with movements such as reaching forwards. Physiotherapy will focus on mobilisations, stretches, postural correction and local pain relief. 3 phases of ‘freezing’, ‘frozen’ and thawing stages resulting in pain and loss of movement in the shoulder. Pain often felt in the side of the shoulder and aggravated with movements as putting on a coat. Pain relief – acupuncture, TENS, liaise with GP on medication. Mobilisations and exercises to gain full movement and function. Trauma to the soft tissues and nerves following, for example, a car accident. Physiotherapy treatment will focus on, for example, posture, exercises, advice and mobilisations to return your movement and function. Pain on the inside of the elbow due to inflammation and strain of the wrist flexor muscles. Physiotherapy treatment may include: mobilisations, soft tissue massage, electrotherapy and acupuncture. Decreased range of movement and pain with a gradual onset. Physiotherapy treatment may include mobilisations, electrotherapy, exercises to relieve your symptoms, gait re-education and walking aids. Pain in the hand due to compression of the nerves and tendons in the wrist often occurring in those using computers. Physiotherapy treatment will focus on posture and ergonomic advice, mobilisations of soft tissue and neural structures and electrotherapy. General ache in the knee during activities of daily living and sporting activities. May include addressing muscle imbalance, mobilisations and exercises. Trauma to one of the ligaments in the knee. Physiotherapy treatment may include mobilisations, electrotherapy and exercises to return you to your activities. Trauma to the ligaments and soft tissue in the ankle commonly with an inversion injury. Mobilisations and exercises to gain full movement, electrotherapy to address inflammation and pain, rehabilitation programme to return you to your activities. Pain in instep, heels or forefoot with abnormal shape to foot. Biomechanical assessment, footwear advice, insoles/orthotics, exercises. Pain in the neck and may extend across the shoulders and into the arm. Postural advice, mobilisations, stretches, neural mobilisations and stretches as appropriate to correct your symptoms. Subluxing or dislocation of the acromio-clavicular joint or shoulder joint. Stability and strengthening exercises to work on correction of muscle imbalance. Local pain relief treatments. Tear of one of the muscles in the shoulder from trauma or pathology. Stability and strengthening exercises and local pain relief. Inflammation and strain of the wrist extensor muscles location on the outside of the elbow. Physiotherapy treatment may include: mobilisations, soft tissue massage, electrotherapy, acupuncture and advice on an epiclasp. Prolapse disc, facet joint, degenerative changes or muscle imbalance causing pain over the lumbar spine which may extend into the buttocks and legs. This will focus on postural and ergonomic advice, mobilisations, exercises, soft tissue release, pain relief treatments such as electrotherapy and acupuncture. Shooting or burning pain down the leg. Numbness, tingling or weakness in the foot. Back and nerve mobilsations, traction, acupuncture. Postural advice and exercises. Inflammation of the bursa on the side of the hip joint, commonly aggravated with side-lying on the that hip. Physiotherapy treatment will focus on addressing the muscle imbalance with stability exercises and stretches and local pain relief and decreasing the inflammation. Tear of the soft cartilage in the knee often due to a traumatic twisting injury. Pain in whole knee, swelling, weakness, stiffness and giving way. Electrotherapy, mobilisations, exercises, acupuncture, daily living advice. Inflammation and overuse of the Achilles tendon. Soft tissue mobilisations, stretches, exercises and electrotherapy. Inflammation due to overuse of the plantar fascia on the sole of the foot. Stretches, mobilisations, advice on footwear, exercises and electrotherapy to reduce inflammation, improve muscle length and return to full function. * Please note that our BodyMap is not an accurate diagnostic tool and does not cover all conditions you may experience – it is merely for guidance. In all cases we recommend you seek professional advice and encourage you to contact 3way healthcare at your soonest: telephone 0118 969 2299, or click here for full contact details. Including postural symptoms, whiplash, prolapsed discs, degeneration, sciatica, wry neck, tension headaches, referred arm and leg pain. Following injury, dislocation, generalised pain, swelling and stiffness in joints, including for example osteo and rheumatoid arthritis and ankylosing spondylitis. 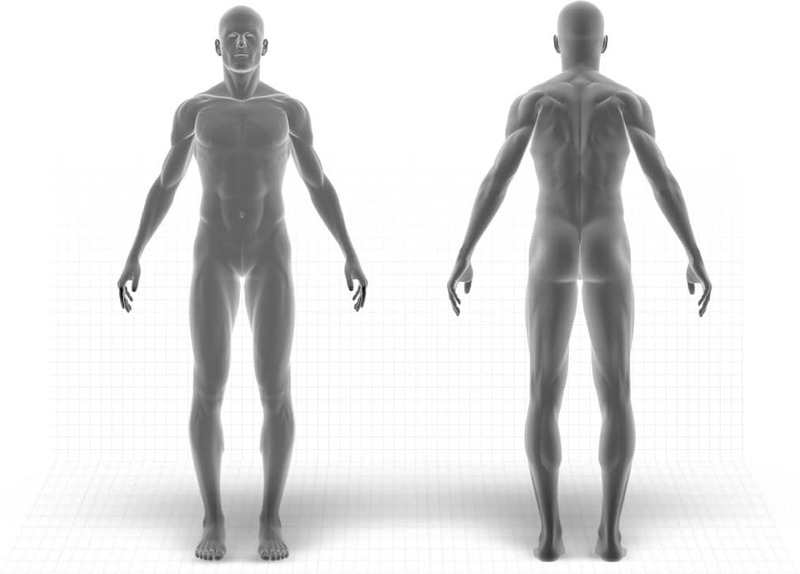 Injuries to muscles, ligaments, cartilage and tendons. Work related conditions such as repetitive strain injury (RSI) and sports injuries, such as tennis and golfers elbow, Achilles Tendinitis and Impingement Syndrome. Treatment to increase your range of movement and function following fracture. Long term pain of any condition. Preparation for surgical procedures to allow maximum benefit from the operation and faster rehabilitation. Rehabilitation after orthopaedic surgery, such as arthroscopy, Anterior Cruciate Ligament (ACL), Menisectomy, hip and knee replacements, shoulder surgery or after general surgery. Treatment from our specialist Sarah Carey for back and sacro-iliac / pelvic pain during pregnancy.